Fundraising, CAD Drawings, and Parts! The Froolja Project is grateful to announce that a couple weeks ago we surpassed our fundraising goal of $12,000! Thank you to all who donated or contributed otherwise. This amazing project wouldn’t be possible without your prayers and support. Additionally, the Team finally received parts drawings and CAD models for critical machine components being ordered from India! The Froolja Project has been waiting on these drawings for 3 months. 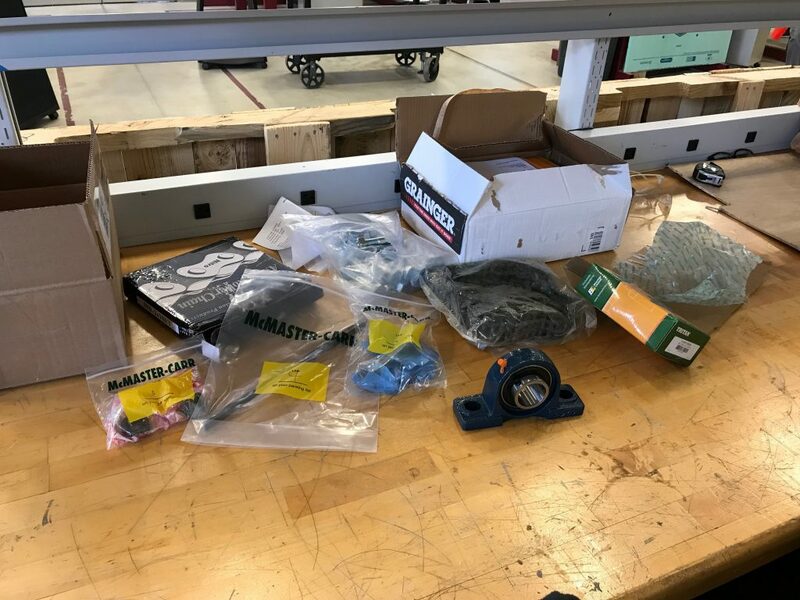 The team is also starting to receive parts this week! Building should begin within the next week and a half! Friday afternoon, the team began its effort to raise $12,000 in the next two weeks to pay for parts and prototype construction. Over $1,000 have been raised in the first 24 hours! Thank you to all who have contributed and keep spreading the word! The team also received a shipping quote for key parts arriving from India that was less than half the price budgeted for. As a result, the team only needs $12,000 to fund the prototype! The team also received a written and signed letter from Governor Monybuny this week accepting The Fröolja Project into South Sudan and guaranteeing the availability of land, tractors, and workers designated for the project. Thank you to everyone who has contributed to The Fröolja Project! With your continued support, this project will be a success. We’re off to a fantastic start but still have a long way to go. Keep spreading the word! All four members of the team are on campus for Calvin College’s January Interim Term. The team has begun designing the oil expeller system, which will consist of a purchased central shaft and housing as well as self-designed and built hopper, chain-driven drivetrain, oil collection bin, and waste collection trough. 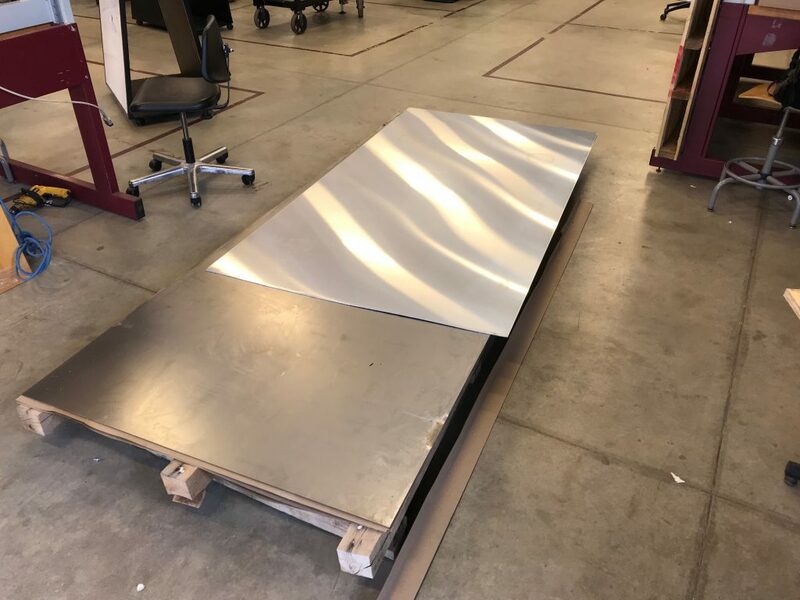 The total cost of the prototype is estimated to be $9,000.00 with an additional $6,000.00 cost of shipping ($15,000.00 total). Currently, the team does not have any funds at their disposal. As a result, fundraising is a primary goal along with furthering the design of the expeller machine. The team is awaiting an official document outlining South Sudan’s already pledged support for The Fröolja Project. Each member of the team believes that this project will have a significant positive impact within the young nation of South Sudan. Your prayers and any level of support would be greatly appreciated. If you’re interested in donating to The Fröolja Project, please see the website tab “How To Donate” for instructions. 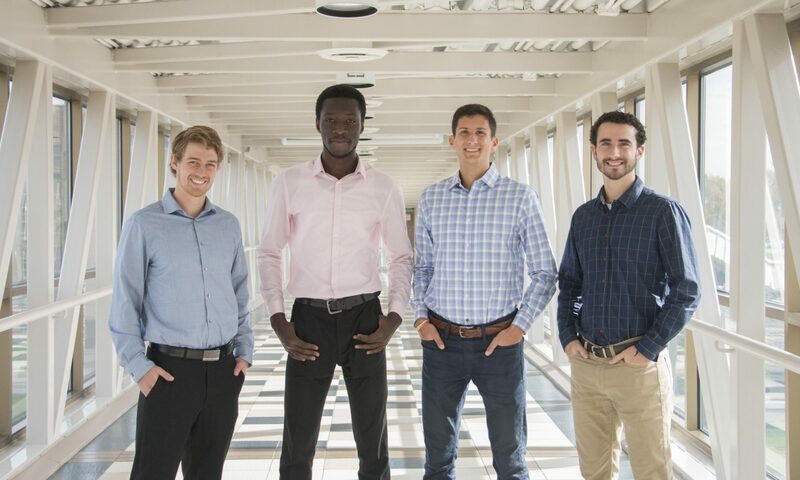 This fall, Team 18 has been conducting research and performing mechanical and financial analysis in order to determine the feasibility of the project. Team 18 is proposing the design and construction of a screw expeller to extract sesame oil on a 40-hectare cooperative farm in Malakal, South Sudan. Research has covered every aspect of the proposed system. The mechanical analysis has centered on the stepped-down drive train connecting the power input (PTO of a Massey Ferguson 385 tractor) to the central expeller shaft. Preliminary designs for a double reduction chain system have been generated. The business analysis has determined that the implementation of the screw expeller would increase the cooperative farms total profit by almost $130,000 over the 20-year lifetime of the machine. A full detailed report of Team 18’s progress this fall (“Project Proposal and Feasibility Studies”) can be found under Documents. We are Team 18, and we are excited to work on this project! Watch this space for project updates and team news. This page provides a description of Team 18’s Engineering Senior Design Project at Calvin College over the course of the 2017-18 academic year.